There are several Ice Age trails around the city of Madison and Devil's Lake area. We try to do two or three of these trails each month, weather permitting. 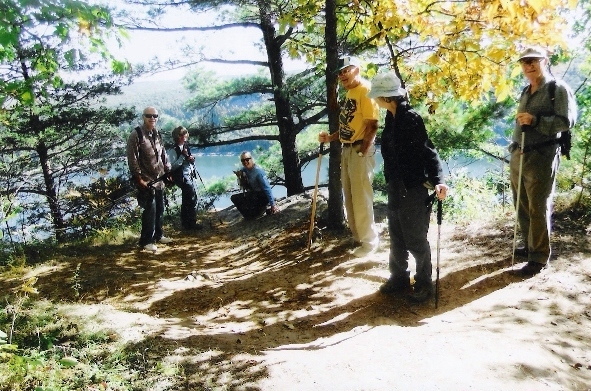 Our hikes can be anywhere from 2 to 6 miles and don't require any special equipment. Do wear a good pair of shoes and bring a walking stick, a hat in the deer tick season and mosquito spray in the summer time. Enjoy the scenic trails and see how they change with the seasons. West Towne Mall is open at 7am year around for those who want to use this opportunity.